Women have access to safe, effective and affordable methods of family planning to enable them to choose whether to have children, when to have them and how many to have. Currently the consequences of pregnancy and childbirth are the leading causes of death, disease and disability in women of reproductive age in developing countries. While rates of maternal and infant mortality and unintended pregnancy have decreased in many countries, the Pacific has some of the worst reproductive and sexual health statistics globally. Family planning is essential to good reproductive health and contributes to lower maternal mortality rates and improved pregnancy outcomes. Enabling women to delay starting families until they have reached their educational goals allows them to participate in education, employment, and political and civil activities, which is important to achieving gender equality. 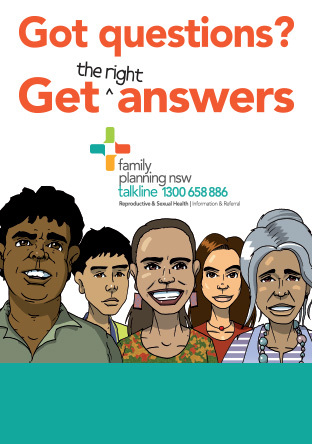 Family Planning NSW is a leading provider of reproductive and sexual health clinical and education services in Australia. We are currently working in the Pacific to support the achievement of the Sustainable Development Goal, national policies and regional priorities such as outlined in the Pacific Sexual Health and Well Being Shared Agenda 2015- 2019. Unmet need for family planning is defined as the percentage of women of reproductive age, either married or in a union, who want to stop or delay childbearing but are not using any method of contraception. Advocate for Government commitment to the provision of reliable supplies including long acting reversible contraceptives, education in schools, trained workforce, implementation of national guidelines. 12,481 women provided with contraception in Vanuatu and the Philippines providing 1,388 couple years protection. Couple years protection is a measure that estimates the protection from pregnancy provided by contraceptive methods during a one-year period.